Not sure about you, but since we’ve gotten here to Northern Virginia, it’s been pretty cool. Especially since we’re used to the raging Hawaii summers. However, that doesn’t mean we’re not in full summer swing. 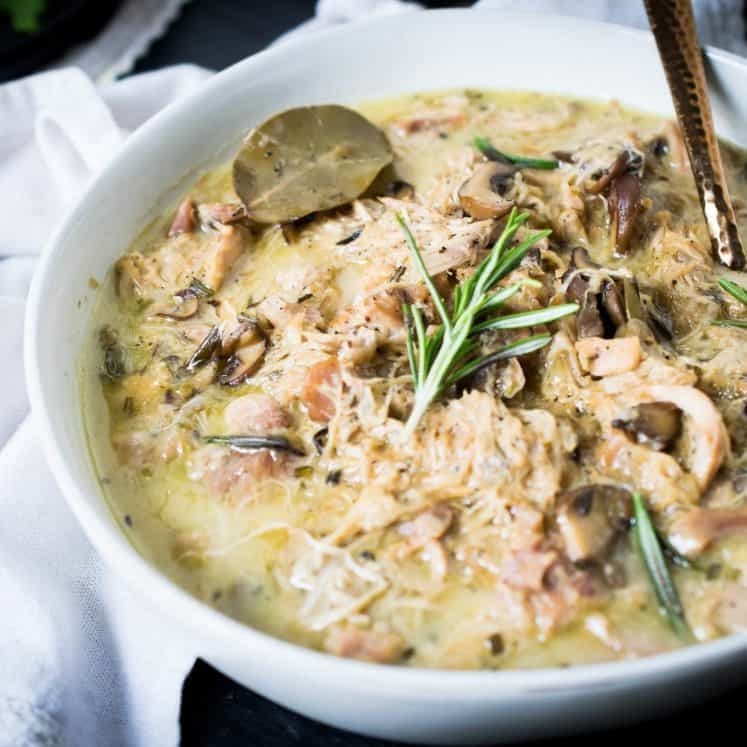 Easy, cool and no-cook meals are still a go-to this time of year. 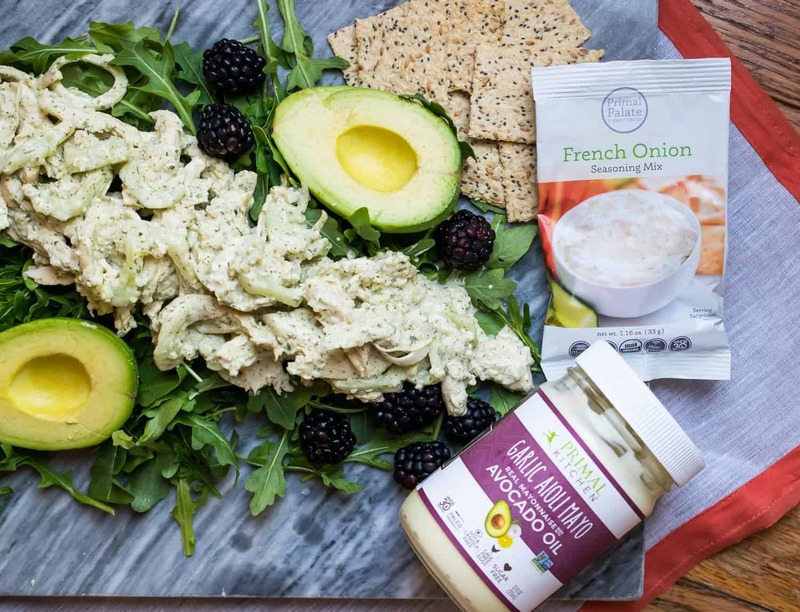 Enter this French Onion Dip Chicken Salad! It’s made using Primal Palate French Onion Seasoning mix. The quality ingredients are so simple, it blows my mind how amazing it tastes!!!! Onion, Pink Himalayan Salt, Garlic, Chives, Parsley, that’s it! I guess you could make your own… but take it from me, their mix is RIGHT ON POINT!!! 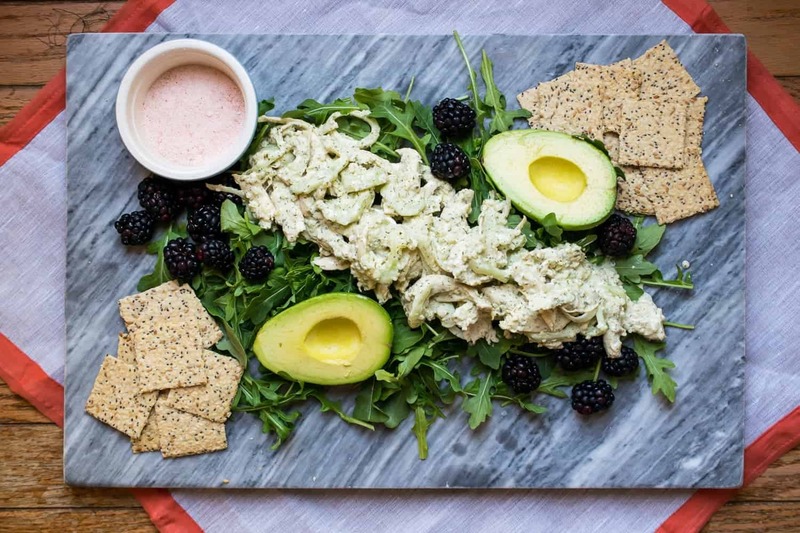 French Onion Dip Chicken Salad, Hello Summer! 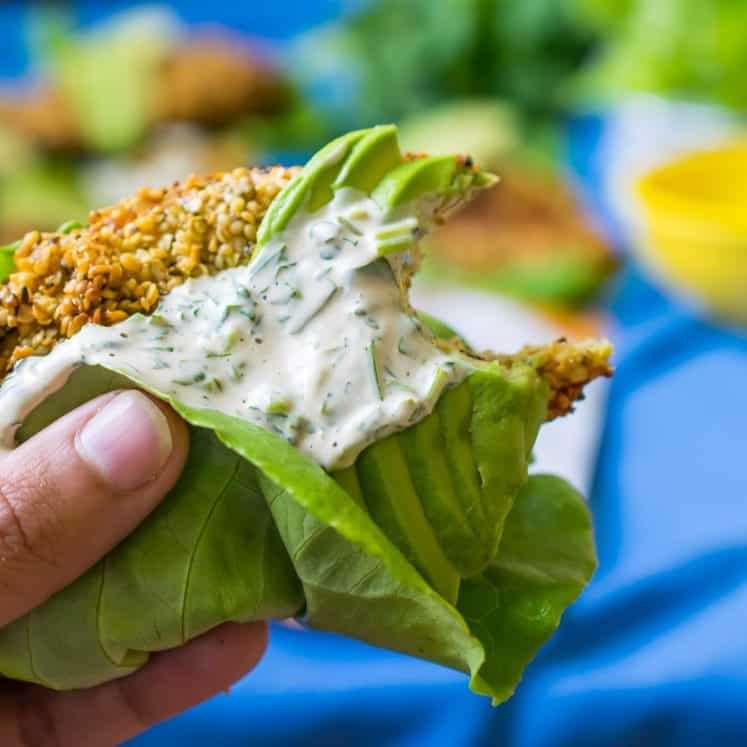 By mixing the French Onion seasoning with some quality paleo mayo… in this case the new Primal Kitchen Garlic Aioli and lemon juice you have a killer dip. 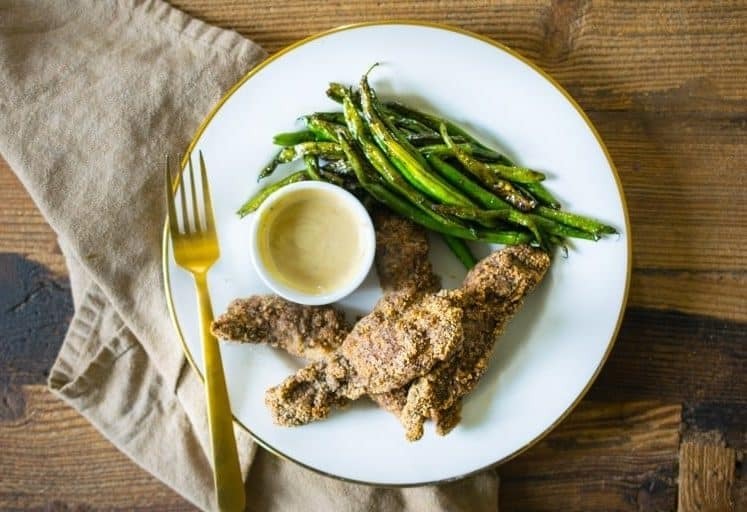 Don’t have PK mayo near you, make your own mayo with THIS recipe. Can’t eat eggs? Use full fat, unsweetened coconut yogurt! 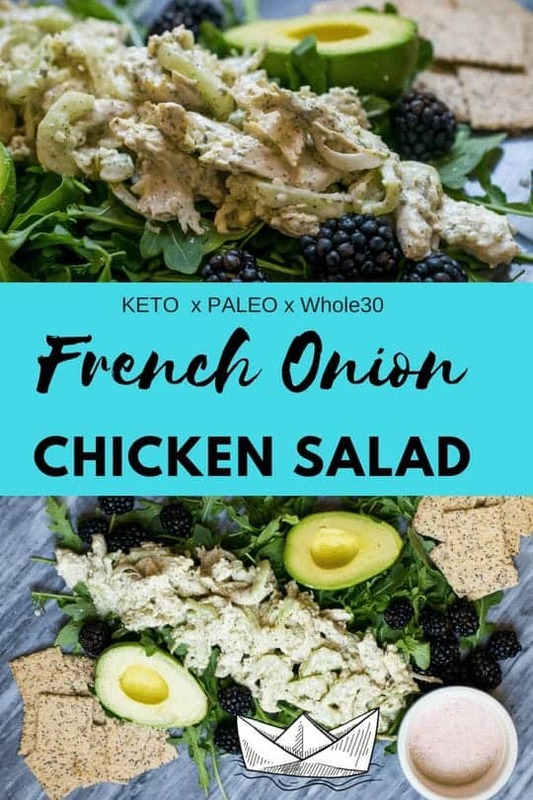 Add in shredded chicken, some shaved fennel and cucumber and folks, you have got one killer French Onion Chicken Salad. 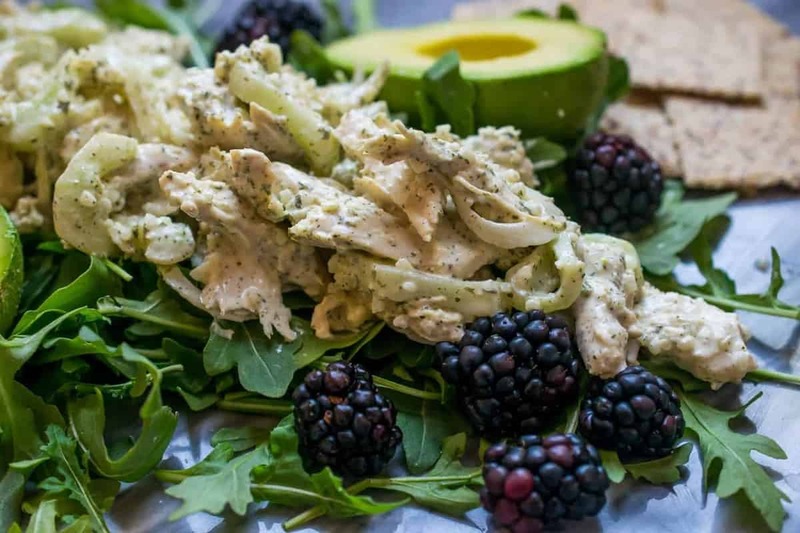 It tastes like your favorite junk food dip, but it’s also crisp, light and just so damn fresh! 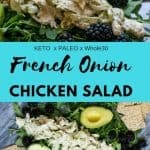 Delicious, easy, fresh… FRENCH ONION CHICKEN SALAD! Poach the chicken breast, then let it cool. 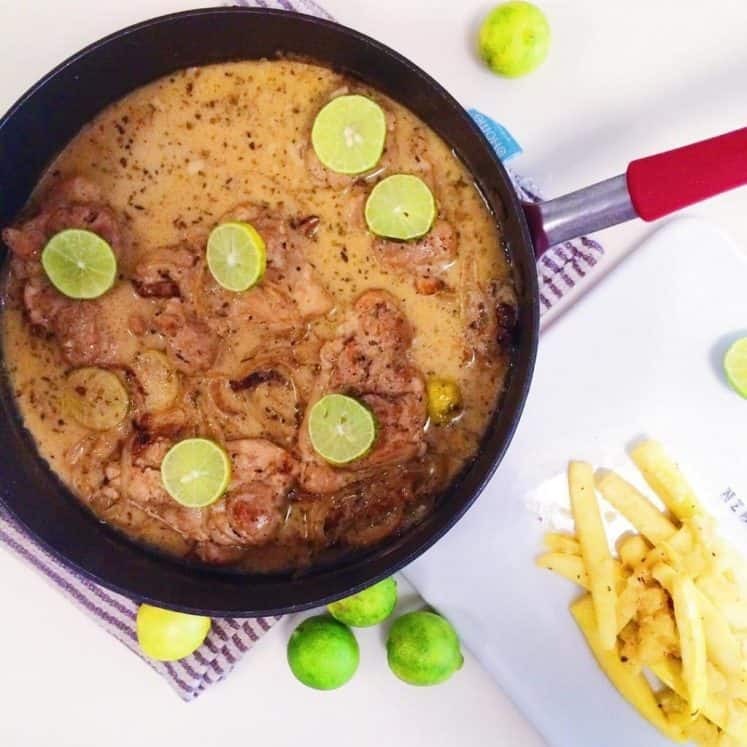 If you don’t know how to poach chicken you can do it two ways, stove top in a skillet with a lid and some water (link above) or throw it in your pressure cooker with some water. Drain the chicken, then let it cool. Use your fingers or two forks to shred it, pulling it into threads and small chunks. In a large bowl whisk together the mayo (or yogurt), lemom juice and seasoning until well combined. Take a taste, yum! Slice your seeded and peeled cucumber into 1/4 thick half moon slices, add it to the bowl with the fennel too. Add in the shredded chicken and toss everything until well coated in the French Onion dip. 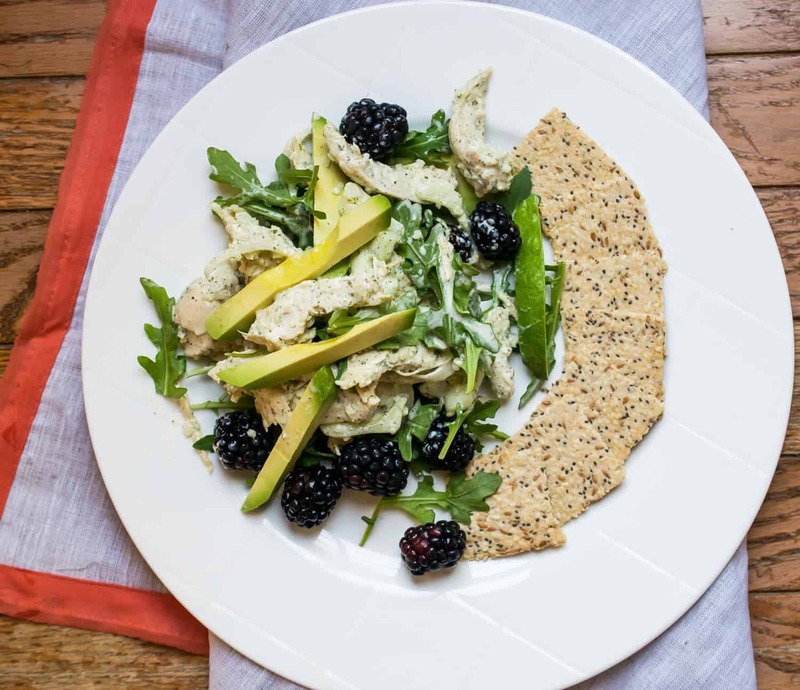 Serve with crackers, I love Jilz paleo crackers, they’re like 7g of carbs per 10 crackers. 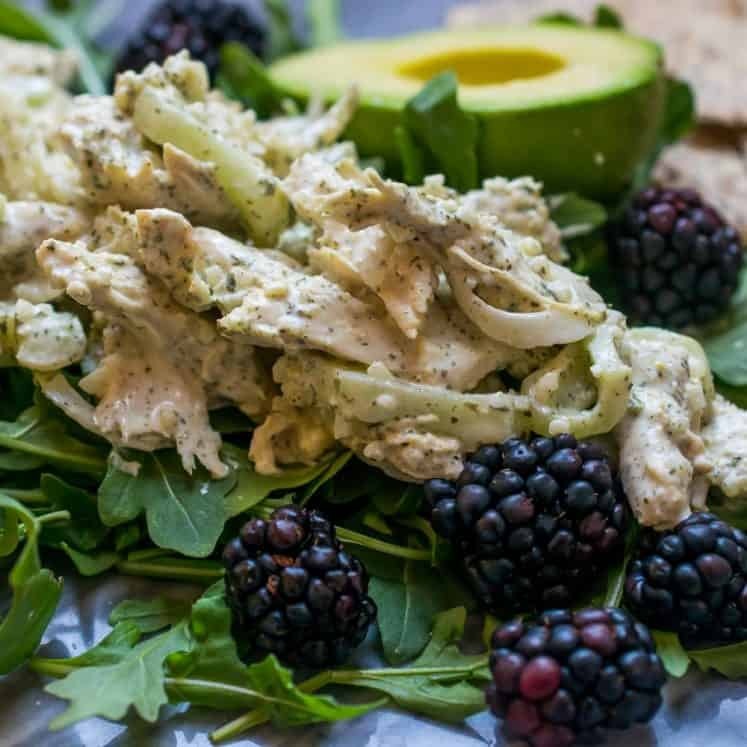 Avocado, berries and arugula go well too and make a really pretty spread! Ooo, it sounds great! Love the sound of the seasoning mix! Looks beautiful!